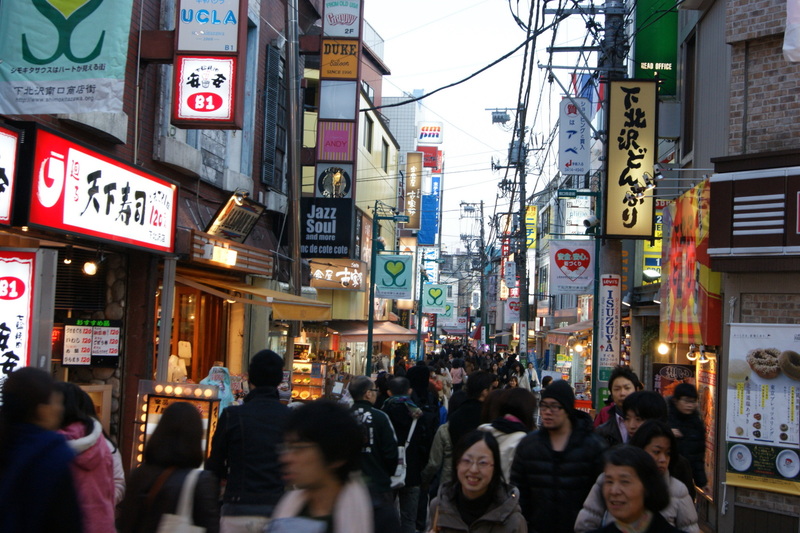 Shimokitazawa, commonly known as " Shimokita " is a very limited trendy area in the special ward of Setagaya, little more to the west of Shibuya. Shimokitazawa is a very fashionable among the youth of Tokyo. Characteristic of this area are the numerous shops of fashion, especially vintage, music shops, small theaters ( Theater Honda is the most famous), clubs that host rock, jazz, blues live music concerts. It is the district for the lovers of cinema and music, the aspiring actors and musicians. In the evening the neighborhood and the various places are very lively. Most of the roads in the area are narrow streets closed to automobile traffic. The whole area can be easily explored on foot and has a very special atmosphere. PAY ATTENTION: I read that there is a redevelopment project of this area which provides a complete change with the construction of skyscrapers and large structures. I did not know if this project has already been approved and about to be realized or blocked because of protests from residents.. Anyway, enjoy now this neighborhood because in a few years it may not be the same again. Shimokitazawa station is served by the Odawara line of Odakyu railways (6th stop from Shinjuku) and by the Keio Inokashira line (4th stop from Shibuya).